Fresh off a decent showing on Super Bowl weekend, the Habs had another strong week as they collected five of a possible six points to wrap up their lengthy homestand. 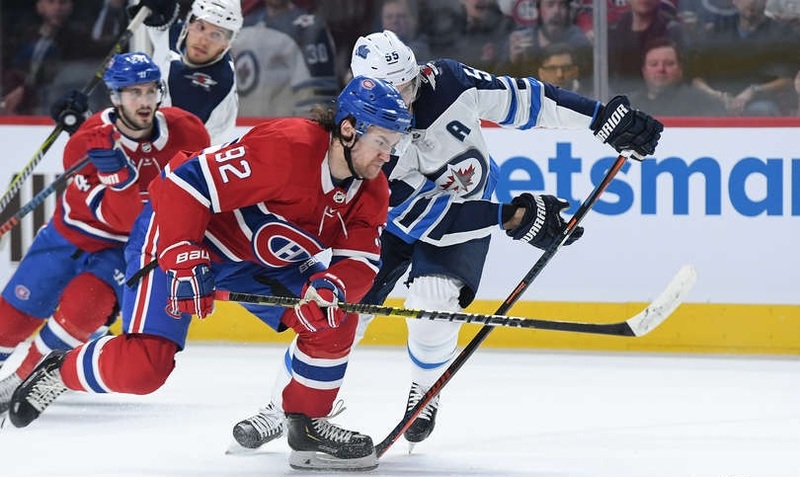 Feb. 6: Canadiens 5, Jets 2 – Considering that Winnipeg is one of the favourites to win it all this year, expectations weren’t particularly high for the Habs in this one. Boy, did they ever surprise pretty much everyone. Although the Jets got the early lead, Montreal tied it quickly and completely dominated the game with Jonathan Drouin’s line doing most of the damage. Feb. 8: Maple Leafs 4, Canadiens 3 (OT) – The Habs had the lead twice in this one but it was short-lived both times. 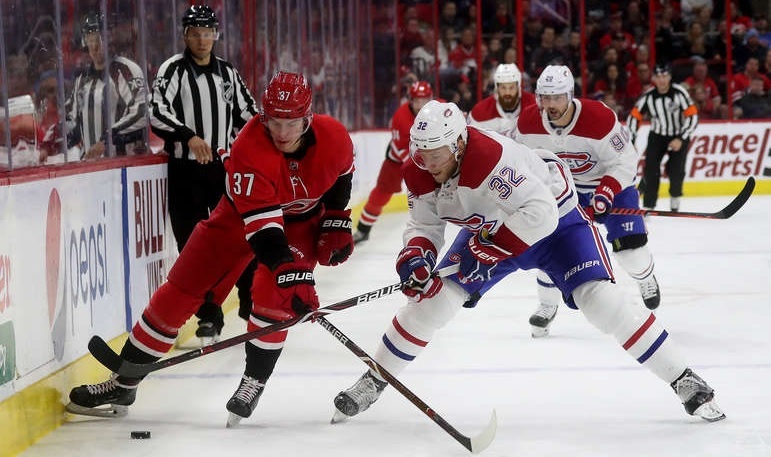 This game was much more evenly played than the other two and for the most part, Montreal fared well against another team with Stanley Cup aspirations. Although the power play scored in this one, a lack of execution proved costly as they weren’t able to score in the extra frame with the man advantage and John Tavares potted the winner shortly after. 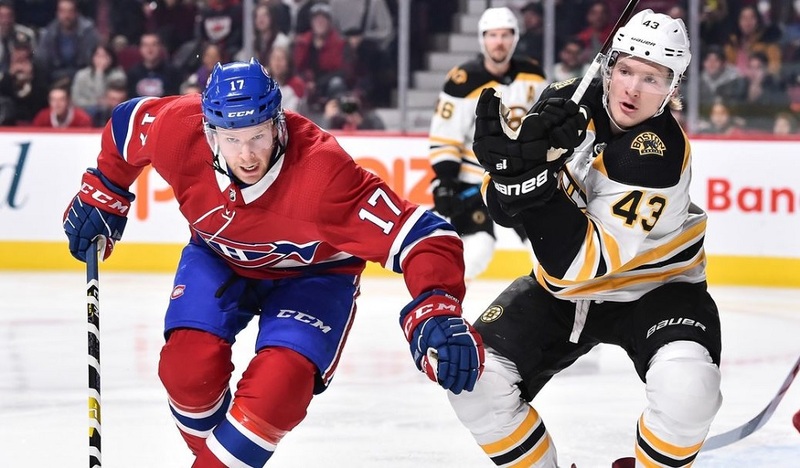 - The Habs changed up their depth, acquiring defenceman Christian Folin and winger Dale Weise from the Flyers for blueliner David Schlemko and centre Byron Froese. While Weise is AHL-bound (for now), Folin will serve as the number seven in Montreal with Karl Alzner heading back to the minors after clearing waivers. - Andrew Shaw was activated off IR for the game against Toronto and played his first game in 2019 (while scoring on his first shift). Meanwhile, Paul Byron was moved to IR to make room for him but his injury is believed to be a day-to-day issue. - Kenny Agostino is on waivers with the Habs needing to make room for Byron’s activation before too long. It wouldn’t be shocking to see Weise up with the team before that happens as well. - Carey Price’s assist against the Maple Leafs was his first since the 2016-17 season. Feb. 14: at Nashville – The run of high-quality opponents continues as the Habs open up a three-in-four road trip in Nashville. The Predators are battling for the top spot in the Central Division and recently bolstered their lineup with the addition of Brian Boyle. Unlike their first matchup when the Preds were missing some key players, they’re largely healthy up front now and have a very balanced attack. Feb. 16: at Tampa Bay – The Lightning are the top offensive team in the league by a considerable margin with the trio of Nikita Kucherov, Brayden Point, and Steven Stamkos already combining for 81 goals. Montreal played them pretty well in their last meeting and should have Carey Price between the pipes this time which is some cause for optimism at the very least. Jonathan Drouin will be hoping to score against his former team for the first time (he has just one assist in six games so far). Feb. 17: at Florida – The road trip ends with an easier matchup as the Panthers have fallen well out of the playoff picture. It will be interesting to see if recent acquisition Derick Brassard is still with them by then or if he has been dealt elsewhere as a rental player. Antti Niemi will likely get the nod in this one while it will be another matchup of Aaron Ekblad vs Max Domi which has been interesting thus far following the incident back in the preseason. Perhaps I’m reading too much into this but I think it’s notable that Montreal opted to bring in another right-shot defender in Christian Folin instead of adding another lefty to the table considering how weak they are in terms of quality there. With Noah Juulsen’s injury being a long-term issue, I think the idea of bringing Folin in is hedging against Juulsen being done for the year. While the Habs have good prospect depth on the right side, it’s pretty shaky in Laval where their top three righties are Brett Lernout (having a rough year), Cale Fleury (impressing but nowhere near NHL-ready), and Maxim Lamarche (a 26-year-old on a multi-year AHL deal). In other words, there’s no help coming if one of Shea Weber or Jeff Petry goes down so the Folin pick up at least gives Montreal a somewhat serviceable option. To get him without giving up a draft pick, roster player, or prospect was pretty creative by GM Marc Bergevin, even if it adds a bit to the payroll for next season. Considering how far the Habs are already under the cap, that shouldn’t be too significant of a concern.